"The idea for the novel came from the confession of an acquaintance of mine - young woman who, in her infancy, felt so neglected and lonely after the birth of her brother, that she tried to kill him" (L. Todorov). From this familiar situation of child unconscious jealousy, the writer pulls the thread of the story - a story about a complex brother-sister relationship, about separation and gentle touch between their fragile worlds. The story captures flashes of their lives, seemingly insignificant dialogues and discreet eroticism, in order to turn delicately and unostentatiously into a deep and intense psychological tale for the impossible love of two kindred spirits. Lyudmil Todorov is the author of two collections of short stories and several novels, including "Barge in the desert" and "Disassembled Summer." 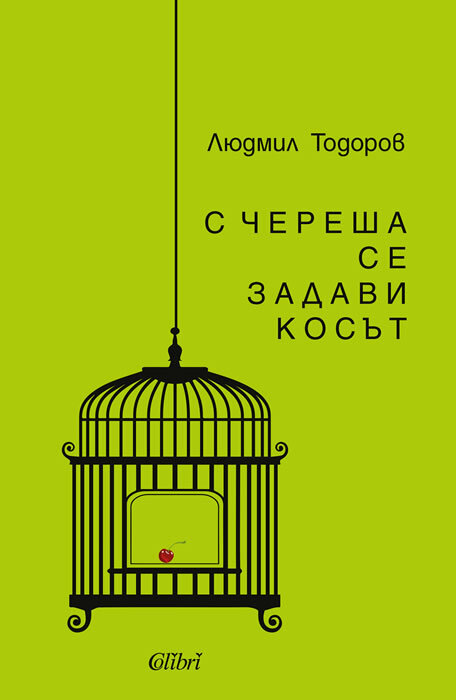 He won the National Prize for Literature Hristo Danov - 2013. He had written and directed the films "The Love Summer of a Scamp", "Emilia's Friends", "Emigrants", "Seamstresses" and others. "The idea for this novel came from a confession of my familiar young woman. In her infancy she felt so neglected and lonely after the birth of his brother that he tried to kill him" (L. Todorov). From this familiar situation of child unconscious jealousy, the writer pulls the thread of the story - a story about the complex relationship between the brother and the sister, about separation and gentle touch between their fragile worlds. The story captures flashes of their lives, seemingly insignificant dialogues, discreet eroticism, and then turns finely and unobtrusively into a deep and intense psychological tale of the impossible love between two kindred spirits.